In order to cater to the audience that is spread across several geo locations, it makes perfect sense to have a multilingual website. Before you decide on it, analyze the location of the audience and ascertain how comfortable they are with the English language. It is well known that the vast majority of websites are based on English which is perhaps the most accepted language across the globe. For business or otherwise, English is the staple language of communication in most countries but not in all of them. However, for making your business grow by using the SEO plank, there is a strong need to reach out to every nook and corner of the world even in places where English is not well accepted and understood. Since it is not practicable to have multiple websites in different languages, the most economic solution lies in having a single website that can be read in many languages. If you are catering to the audience located in France, Spain, Japan, China, Germany, Russia and some other countries then surely you need to have websites in local languages. How it can be achieved has been discussed in this post. You can expect very good returns from multi lingual websites in garnering increase web traffic of the right quality that increases business prospects. It is highly economical to reach out to the country specific audience through multilingual websites instead of opening offices in those countries. Since the website content remains the same regardless of the language adopted, you achieve economies of scale with minimum effort. You can widen your reach and tap emerging markets without investing a fortune. Your business horizon gets expanded. 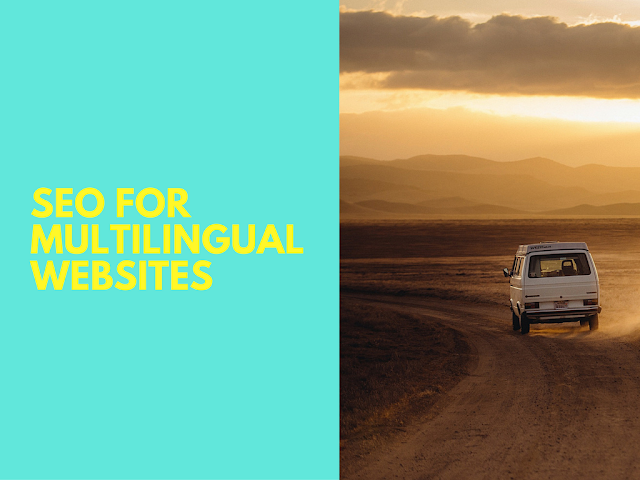 Multiple languages will make your website lovable to many more search engines that operate in local languages in specific countries. Search engine visibility tops the agenda when you set the objectives of creating a multilingual website. This is also the reason why you choose the SEO route for promoting your website. In fact, no other online marketing methods are as effective in improving search rankings. How you approach the issue of creating the multi lingual website is critical to its success. The most important SEO tip is that you have to be methodical from the very beginning, right from the conceptual stage. In order to get good dividends, you have to decide on choosing the right domain for your website. It will be driven by the location of the audience and their concentration. If the audience is concentrated in a specific country then you can choose a domain that is country specific like .co.uk for the United Kingdom. Otherwise, you can use a general top-level domain that is not country specific. How really do you create multi-language websites? This question must be topmost in your mind when you decide to go for it. With advancement in technology, you are now better placed to create multilingual websites. You can choose WordPress plugins to translate the website content into your preferred language. The plugins are tools for automatic translation that give viewers the option of translating it into their preferred language. This is most convenient and economical, hence the most popular option that is followed by the majority of websites. The translation of the entire website is done just at a click and is super fast. Very large websites that run into many pages might not be suitable for easy translation. Such websites have to be created separately in each language that you would like to present. Indeed, this is a time consuming and expensive process as it amounts to creating and maintaining a separate website. Providing better user experience and ranking well in regional search engines is the objective of presenting websites in many languages. The languages have to be selected based on the results of Google Analytics that would indicate the major countries from which traffic is originated to your website. The automatic language translator WordPress plugin can be used to make suitable translations. You have to configure the plugin that would enable translating the content into any preferred major language. Once it has been configured, you can select the codes of the languages that you prefer. The language button is easily recognizable as it displays the country flag. All these can be done from the WordPress dashboard. If you want to exclude some pages or content from translating, it can also be done. Editing options for each language are also available. The best thing about WordPress plugins is that it is completely SEO friendly. The plugins have been developed to comply with the best practices laid down by Google regarding multilingual websites. Every translated web page is tied to a clean source code. The plugin has the special feature that enables Google to index your website in many languages. In order to understand how the plugin works in conjunction with SEO let us look into the special features that are incorporated in it. Google guidelines stipulate that every language into which the pages are translated should have separate URLs. This dictum is religiously followed by the language translator plugins. To facilitate easy identification of the alternate languages by Google hreflang tags are automatically added by the plugin. This makes it easy for Google to link the pages with the respective languages. Among the different factors that influence the decision of having multi-lingual websites, the need to widen the reach for the target audience and to give them the best user experience rules supreme. If users are happy with the website, the bigger issue of drawing more traffic to it is automatically addressed. This is the subtle link between SEO success and multilingual websites. Moreover, for e-commerce websites besides the facility of preferred language, international tax rates are also taken care of by multilingual websites. For reaching out to the largest audience at minimum cost, Weglot promises a lot for WordPress users. Darryl Evans is a blogger who has wide experience in internet marketing. He has been associated with online marketing for more than two decades. He is a close watcher of the developments that happen in the industry and shares his SEO tip through his blogs. Music is what attracts this techie who is also a nature lover.